For over 25 years Access Specialties has been manufacturing electronic access control systems based on the latest technology and unsurpassed quality hardware devices. With our industry-leading Lifetime Warranty on our manufactured panels, rigorous testing procedures and commitment to quality control, you can count on Access Specialties products and know that the proof is in the performance. Access Specialties offers several types of hardware panels from single-door IP Controllers, multi-door network panels to legacy large-scale intelligent controllers that work in conjunction with our various access control software platforms. 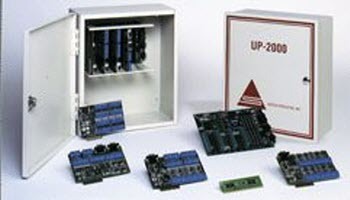 The UP 2000 Universal Panel is a powerful, flexible panel that can make all access control decisions and store transactions independently of its host software, the Access Security Integrator software application. Intelligent features make this control panel a powerful solution for any system and it supports virtually all card technologies. 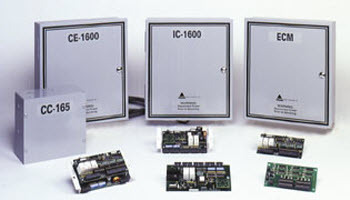 The IC-1600 Intelligent Controller works in conjunction with the Access Security Integrator software platform and provides support for up to 16 directly connected devices (over 100 if multiplexed). This unique panel is ideal for large, sprawling facilities as it can communicate with the field devices and card readers that are up to 2 miles away. It stores up to 30,000 cardholders or transactions and supports virtually all card reader technologies. 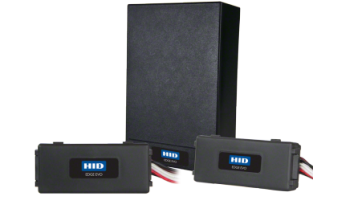 Computer Interface Cables: 9 ft.
HID’s IP-enabled product family brings intelligence to the door and utilizes business’ existing investments. These versatile, powerful devices are available as a single-door POE-enabled controller with the Edge and multi-door controller with the VertX line. Both hardware devices work in conjunction with the Focal Point Access Control system. Because of standard CAT5 network drops to the controllers, installation costs are typically much lower and the fixed per door cost makes it easy to budget for and expand.